Teams try to make 10 passes. If they succeed, one of their teammates from the outside can join them in the middle to create an overload. 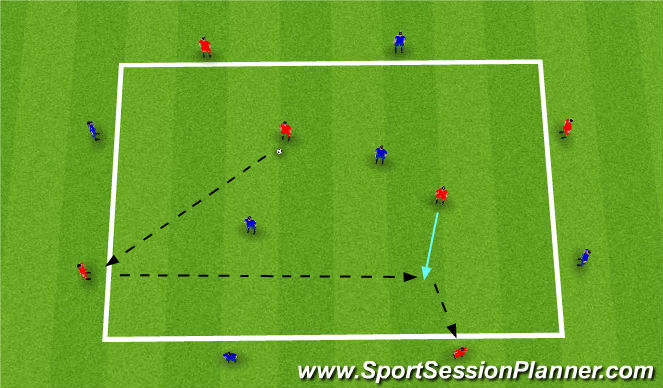 -Must make 10 Passes to release a teammate to come inside the area.